Are your locking systems protected by keys that cannot be copied? Who in the past has had access to your keys? Can every single key that is circulating be accounted for? Around 30% of all burglaries that occur in the U.S are considered unlawful entries that do not require force, meaning that the thief already had access to a key. It’s a scary thought, but with the proper protection, you can avoid the fear and monetary loss that comes along with a break-in. 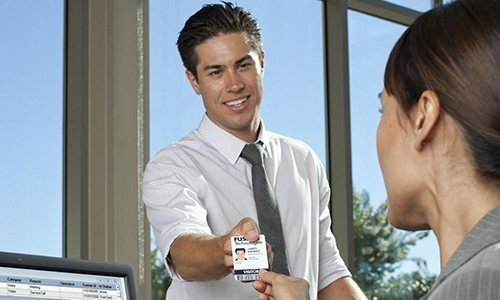 At Arrowhead Lock & Safe, we provide our clients with ANSI ranked Grade l commercial security solutions, which are constructed and perfected by the most trusted company in the security industry, Medeco. Medeco leads the industry in quality and innovation, and helps guard the assetsof companies at thousands of facilities around the Globe. As the #1 authorized Medeco security center in Atlanta, GA we have installed, serviced, and sold countless security products to large organizations and institutions in the Southeast and beyond. These businesses are left with a rare peace of mind knowing that their most valuable assets are safe and sound behind locked doors, safes and padlocks that are fitted with proven lock systems and proprietary technology that only Medeco can offer. Drill and Pick – One of the most common ways that thieves enter a facility is by using a simple home drill to gain access. The locks that Arrowhead Lock & Safe provide by Medeco are crafted in such a way that resists these attempts, each and every time. Key Bumping – This technique has been around for decades, but has gained new popularity with thieves because of the advent of YouTube and other similar sites. This technique is almost impossible to detect, which often makes authorities and insurance companies less interested in your break-in. Our locks and safes have anti-key bumping technologies, so that amateur and seasoned thieves alike cannot infiltrate your facility. Duplication – Crafty thieves can duplicate just about any key for any lock on the market today. It is an unfortunate truth, but one that can be combated with Medeco solutions which offer the latest technologies in their designs. As a commercial locksmith in Atlanta that provides the finest commercial Medeco safeguards, you can rest assured that your business is safe 24 hours a day. As a Medeco security center in Atlanta Arrowhead Lock & Safe not only sells Medeco products, we install the hardware, will service and maintain it for you, and consult with you about any issues that you may have with your locks or safes. If you are buying new products from us, we will install it right the first time, every time. Of course even the best product will need occasional servicing, and our highly-trained security experts would be more than happy to correct any maintenance issues that your business may have. If you have any questions about your new products or have general questions about Medeco or Arrowhead Lock & Safe, we would be equally as happy to consult with you to find the right solution. Do not let the safety of your employees and critical assets remain unprotected any longer. It only takes one break-in to create a catastrophe. Arrowhead Lock & Key is here to help you prevent that catastrophe before it happens, so you can worry about your day to day business rather than the safety of your building. Excellent experience - professional, courteous and efficient. I highly recommend using Arrowhead Lock & Safe. The technician was efficient and friendly on the phone, as well as in person. Thank you so much for providing us with such wonderful service. It was a wonderful experience. They have high-quality products and excellent customer service. The staff are knowledgeable and responsive. They are very accommodating and friendly to their customers. I highly recommend them to anyone looking for a reliable locksmith company. Love our experience with Arrowhead Lock and Safe. They were super responsive via phone and texts. The quotes came quick and the tech came the same afternoon for the installation. Love it! Will definitely recommend them to anyone. Fast, professional and very knowledgeable! Called a bunch of locksmiths and Arrowhead Lock & Safe was the one who answered my call. They called when they arrived and repaired my lock very fast, and even gave me a reason why my door knob fell off. They were awesome. I highly recommend them! Great service. Very quick and professional service. I have used different locksmiths for a recurring problem with our front door lock jamming. Not only did they do a fast and efficient job fixing it, but they also gave me a great tip to keep it from happening again. I happily recommend Arrowhead Lock and Safe, and will definitely use them again. This is the only Locksmith I will use/recommend. Got me out of a jam real quick with exemplary customer service. Very grateful - thanks, Arrowhead! Arrowhead did a great job for my business and I would highly recommend their service to anyone looking for a commercial or residential locksmith company. Wonderful service! Arrowhead Lock & Safe were very prompt and friendly in their communication. I had them over to re-key two doors in my new home. The technician was very quick and efficient, and a really nice guy, too! Arrowhead Lock & Safe has an amazingly professional staff! I needed immediate action and they responded quickly! They even rearranged their schedule to accommodate my needs! They are a great company to deal with. Professional, kind and they explained everything. They offered options and honest opinions. They were flexible and worked with our schedule. We will be getting more work done soon, for sure. We are so thankful to have found an honest and knowledgeable locksmith. They work very hard! If you want a locksmith who is fair, honest and has a reasonable price, you must go here. They truly treat you like you should be treated. If you need a duplicate key, safe or any locksmith service, you must give them a try. You'll be glad you did!! I have used these professionals for several jobs, and I am VERY picky about people who can get into my home. They are always professional, kind and do not over-charge. I have used them in the most extreme cases (locked out of my house, needed to have tenant lock changes, my desk keys were lost, etc.) . I recommend them 100% as AMERICANS who know their trade. These guys are very reliable and honest. I will always use them for my lock and key issues. Wonderful customer service! I am so grateful to Arrowhead Lock & Safe! The service they provided was really exceptional. They were all nice and amazing. We will surely recommend this company to my neighbors! Quick to respond and easy to set up an appointment. Their staff was very accommodating and super friendly. They helped us with choosing the right brand of locks for our house. Great job! Many thanks to their friendly and professional technician. The installation of our Medeco locks was done quite quickly. We are very satisfied with the service they provided. I had just a single, marginal key for a used VW I had bought. Neither the dealer nor several other shops could make working copies. But Leroy at Arrowhead had the skill, and took the time, to cut four keys...all of which work perfectly in both the ignition and exterior locks. All my key business is going here from now on. I was sent here upon the advice of the helpful hardware guys at Ace, and they hit the nail on the head. I had to get 6 locks rekeyed for my boat (expecting to drop them off and have it take a few days), and he told me to come back in an hour. Needless to say, they got it done. Excellent service, friendly, knowledgeable staff. Lock and Safe Services for Joy M.
High quality locks! They have very knowledgeable staff and expert technicians. Arrowhead Lock & Safe is worth the excellent rating. This company is really fantastic.